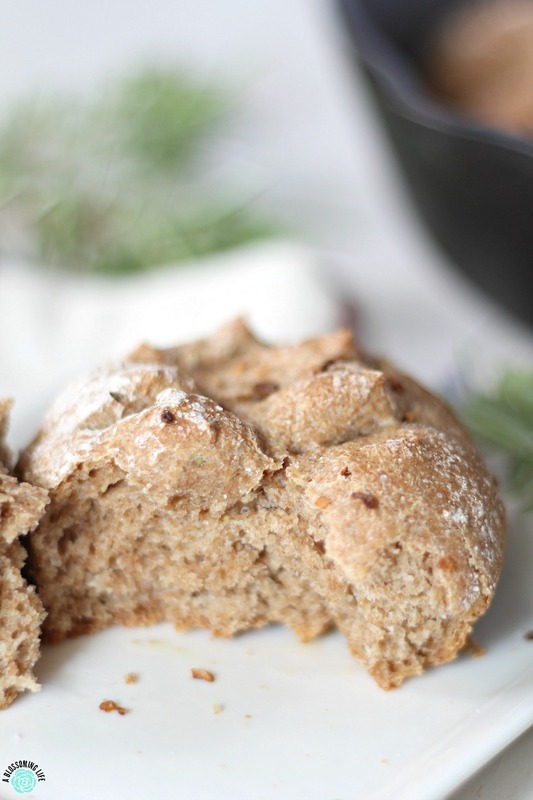 Baking bread sounds like a lot of work, but the result is really rewarding. And I usually find that the process isn’t as bad as I anticipated. Plus, you get to Instagram your accomplishment and everyone will be in awe of your bakemanship. The good thing about our recipes are that they aren’t one-shot wonders. Instead, they’ve been taste-tested by my friends and family, the recipe passes on to Amy, and because she’s taking the pictures, she uses my recipe to make it again. I’m not sure if her friends and family get to try them, though, because she tends to eat everything all by herself. The point is that the recipe goes through at least two hands, so we get to test and compare results. The goal is a consistently good product. With Amy living in Oregon while I’m back in the Midwest, we do a lot of communicating via text, messenger, and video chats. We also keep in touch through A Blossoming Life where we check each other’s content and make decisions on fonts and angles, etc. 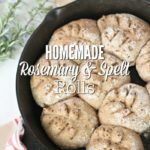 I’m checking out the rolls she made with my recipe right now (in these photos), and I’m certainly impressed. They look wonderful! And I’m loving her artwork on top. I wonder how much butter she ate with these? So, just stir these up in the early afternoon, and let them rise while you enjoy your two hour break. 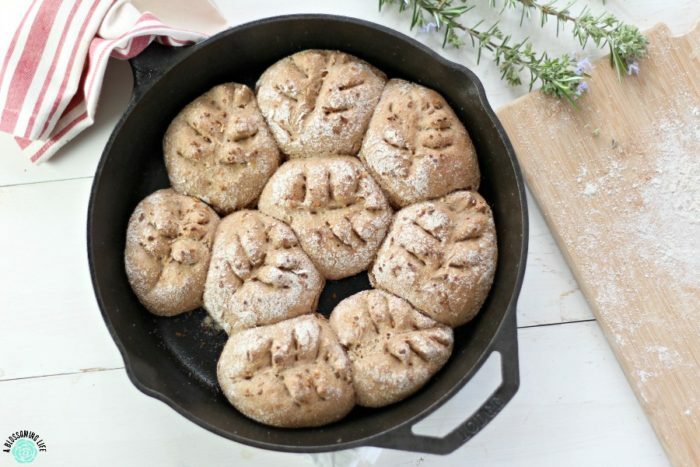 Roll them into a nice, fat loaf or form a tray of rolls, then pop them in the oven just in time for dinner. It’s one of those things that feels really productive even without a lot of labor, and if I can fill my day with those things, I’m a happy girl. 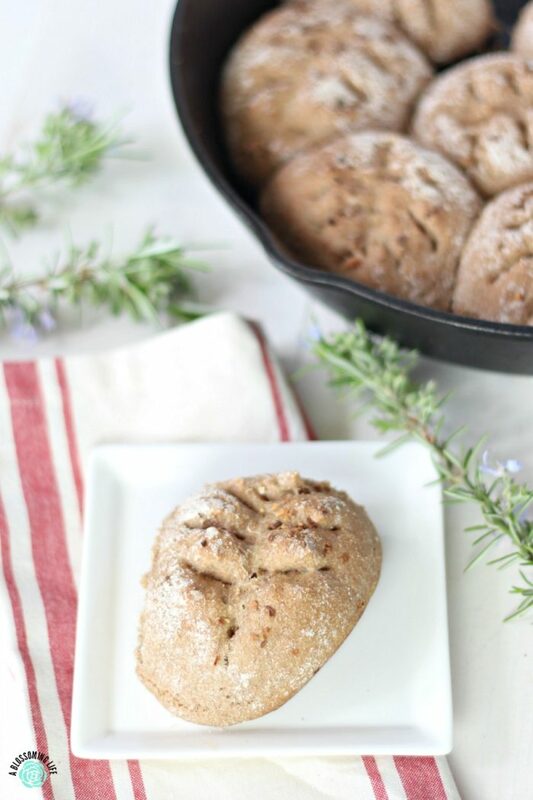 Simple, flavorful dinner rolls - one bowl, one rise, no need for a machine. Add warm water and yeast to a large bowl and gently stir. Let this sit for several minutes. Add olive oil and salt to the warm water and yeast. Measure flours and seasonings, then add them to the bowl. Stir ingredients until the flours are mixed well, then loosely cover the bowl and set in a warm place. Allow to rise for approximately two hours, or until the dough has doubled in size. Preheat oven to 450F. Oil a baking sheet or pan (I used a cast-iron skillet) and set it in the preheating oven. On a well-floured surface, work the dough just until it collects some of the flour and isn't impossibly sticky. Form rolls. I made 9 large rolls. Make them smaller and you'll have more, but reduce the baking time accordingly. To form, I pulled a handful from the ball of dough, pressed it down, folded into thirds, pinched the ends together, and placed it smooth side up. Cut slits in the top of each roll using a serrated knife or pair of scissors. 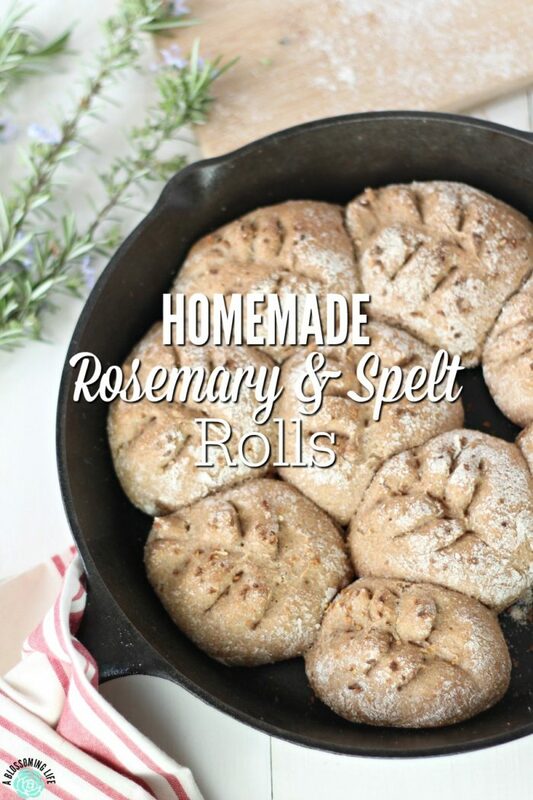 Sprinkle each roll with salt, rosemary and minced onions. Carefully remove hot pan and set your rolls inside, sides touching. Bake approximately 16 minutes or until golden and crusty. Baked rolls will sound hollow inside when tapped.